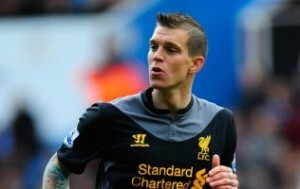 Interesting transfer news are out claiming that Barcelona are ready to test Liverpool’s resolve for defender Daniel Agger. The Daily Express revealed that the Catalan giants are looking to make reinforcements with Eric Abidal recently returning to action after undergoing a liver transplant and Carles Puyol a long-term absentee. The 28 year old Denmark international has been an ever present feature for club and country this season, clocking up 43 appearances.